Ripple World Pictures' original six-part sports entertainment series Super Fit Seniors is set to air from Monday 11th April on Setanta Sports, 7.30pm . 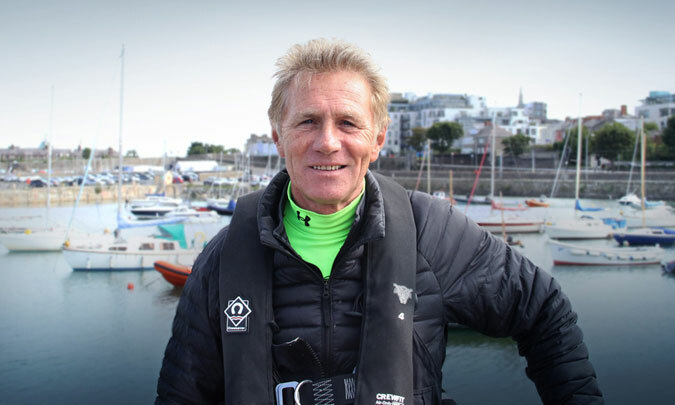 Presenter Eamonn Coghlan is on a mission to find some of Ireland’s oldest athletes, challenge himself to conquer their sports, and discover their secret to performing at such a high level despite their age. In this series we travel around Ireland meeting super fit seniors in various sporting fields, gaining access and insights into their personal and sporting lives – how they maintain their fitness and perform at such a high level despite their age, and the benefits of keeping active as they grow older. Presenter Eamonn Coghlan (63) is a former Olympic athlete and world champion runner. Although not racing anymore, Eamonn is still fascinated with people of all ages putting their bodies to the test. Over 6 episodes we meet our inspirational super fit seniors - marathon runner Phonsie Clifford (85), racing driver Brian Cullen (72), powerlifter Gerry McNamara (65) , indoor rowing champion Richard Morgan (85) , cyclist Kevin Sims (84) and sailor Leonard McKay (82). Eamonn takes on each of their sports and trains with the seniors as they prepare to take on their next competitive event. In each episode, we learn about the challenges older athletes can face during the course of lives and their sports. Such demands include loneliness after the loss of a loved one, battles with serious illnesses, and pushing against the general deterioration of the body as they continue to train and excel in their sports. We discover that despite these obstacles sport is the key to focusing an older athlete’s mind through life’s many challenges, and that staying active as you grow older has an immensely positive effect on your mind, body and soul.